Summer is here which means spending lots of time outside, whether it’s grabbing a drink at your local or heading down to the park for a picnic. 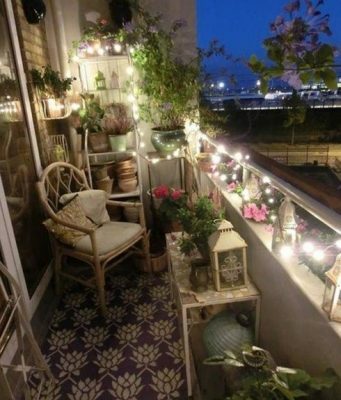 However, for days you’d quite like to spend at home, it’s important to make good use out of any outdoor space you have and balconies are no exception. Although balconies may seem like a small space there are plenty of things you can do to maximise their usability and style! Hanging tables are a fantastic way of making sure you get the most out of the floor space on your balcony. They also come in a range of styles to suit almost any structure. 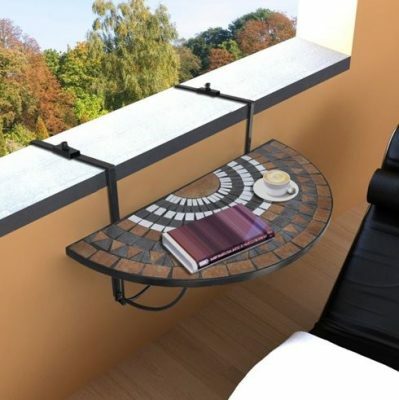 Much like the hanging tables these are a great way of keeping the floor space on your balcony clutter free. 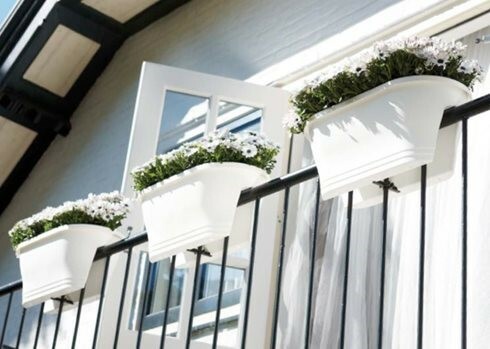 Simply fill the planters with your favourite flowers and position them over the rails. If you work from home it can be frustrating to miss out on the sunshine while you’re stuck indoors and without a garden it can be difficult to get some fresh air. 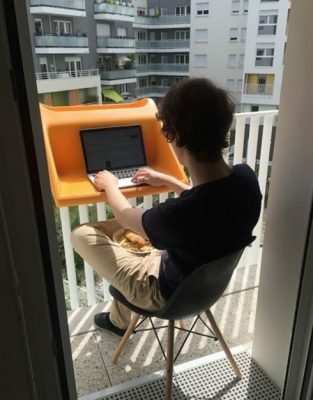 However this balcony desk is a game changer and allows you to convert the smallest of balconies into a temporary home office. 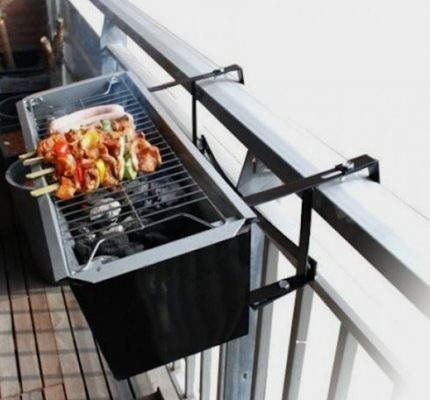 Having a balcony doesn’t mean you have to miss out on BBQs in the sun as this nifty gadget saves on space! When the sun is beating down it can feel unbearable to sit outside with no cover therefore this IKEA parasol is perfect for combatting those rays. It can also be placed in such a way that it minimises the space taken up. 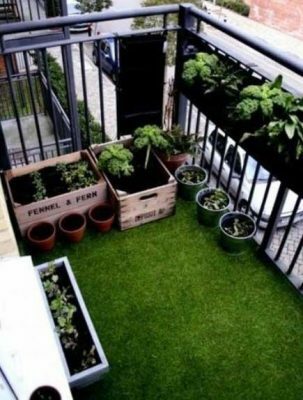 A rug can create the illusion of more space as well as bringing colour to your balcony. The brighter the rug the better! 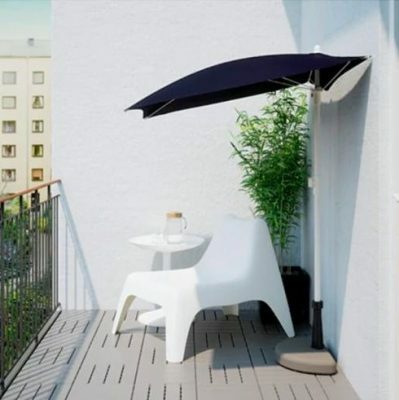 This creates the perfect illusion of an outdoor space and will make your balcony feel like an urban outdoor space. 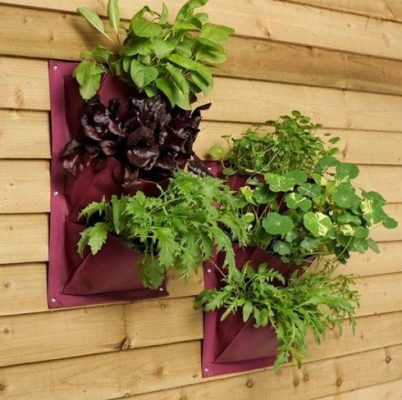 Grow your own herbs and vegetables using a vertical planter! RHS have some fantastic advice on what to grow and when. There’s nothing more calming than water and just because you don’t have a garden doesn’t mean you can’t introduce some to your balcony! 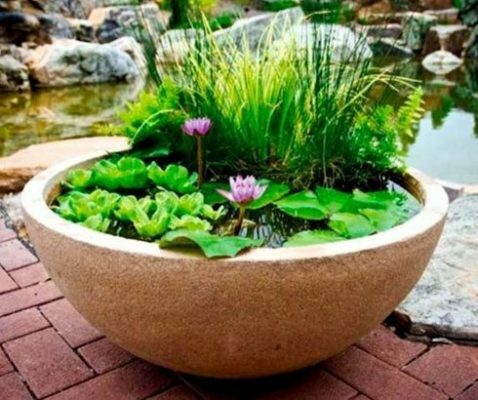 Follow these steps to create the perfect pond in a pot. Discover more home improvement articles on Safestore’s blog where you’ll find a range of topics; from renovation tips to space saving ideas and more. Or, if you require storage to free up space we have a variety of self storage facilities located in over 100 locations – find your nearest store for a quote today.